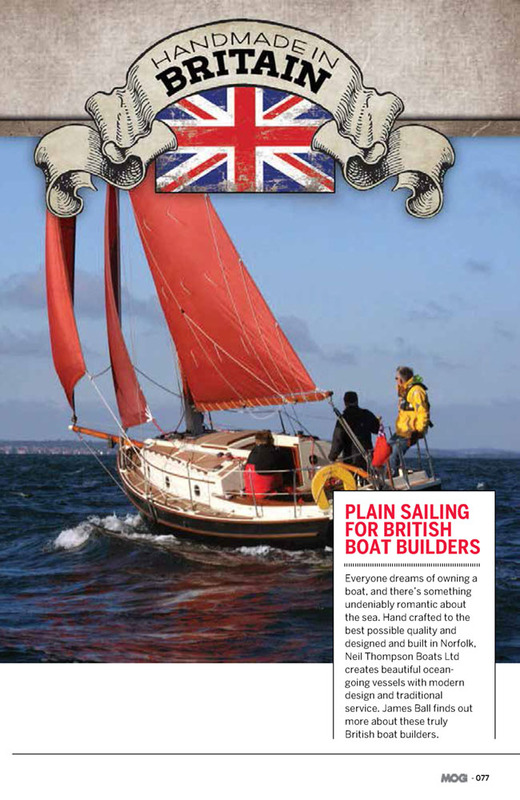 The Norfolk Smuggler 25 has been carefully designed to ensure a single-handed sailing ability when required. The cockpit is as large as the Gypsy’s to allow comfortable sailing for up to six adults and to provide ample stowage space in the cockpit lockers. The cabin trunk provides standing headroom through the yacht without looking cumbersome, and ahead of this there is a safe foredeck to provide security for the foredeck hand. 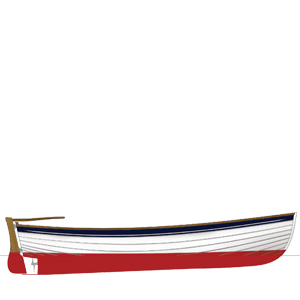 This vessel has been designed to be shoal draught with a centreboard increasing draught from 2’9″ with plate up to 4’11” with plate down. The centreboard is raised and lowered with an easy to operate manual winch. The Smuggler has a heavy displacement hull with a good ballast ratio to provide power under sail and good internal volume. Due to her firm turn of the bilge hull form, her stability is exceptionally good. 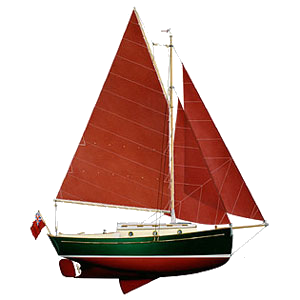 The high peaked gaff rig, used to such good effect on the Norfolk Gypsy, has again been used on this boat but this time cutter rigged to break down the larger sail area and to provide different permutations when the time comes to reduce sail. 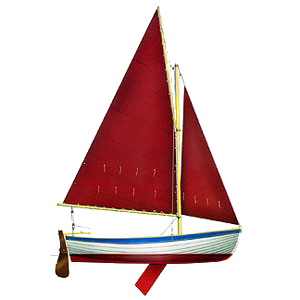 The rig will provide excellent sailing performance in all points of sail with exceptionally good windward performance. The use of the high-peaked gaff is so the spars are short for ease of transporting and storing. 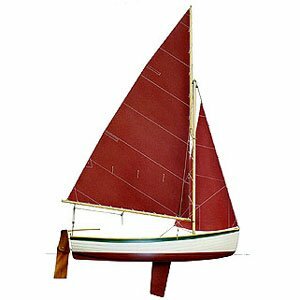 The added benefits of the light weight and flexible gaff is that it tends to bow around the halyard attachment point when the wind gusts, automatically flattening the sail at the right time. Also, by tweaking the peak halyard, you can (although you don’t have to) produce very effective sail shape adjustments when changing point-of-sail, or during varying wind conditions. (To flatten the sail in strong winds or to loosen the leach in light aires) High-tech racing boats spend hundreds of thousands doing this with carbon-fibre and stainless steel – here we do it (in a cruder, but effective way) using douglas spars and polyester line. The deck stepped mast is housed in a large tabernacle (with fixed gooseneck to simplify mast lowering). 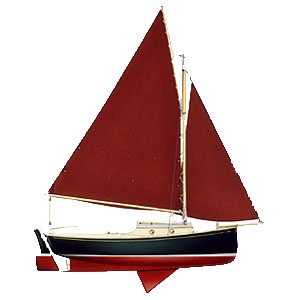 The Smuggler 25 is, therefore, eminently suitable for canal sailing, for example, when mast lowering and raising is necessary on a frequent basis. Headroom in the interior is 5’10” (1.79m) on the centreline over a level sole (the centreboard being located under the cabin sole). The heads are outfitted to a high standard incorporating a flushing toilet with an optional holding tank facility.